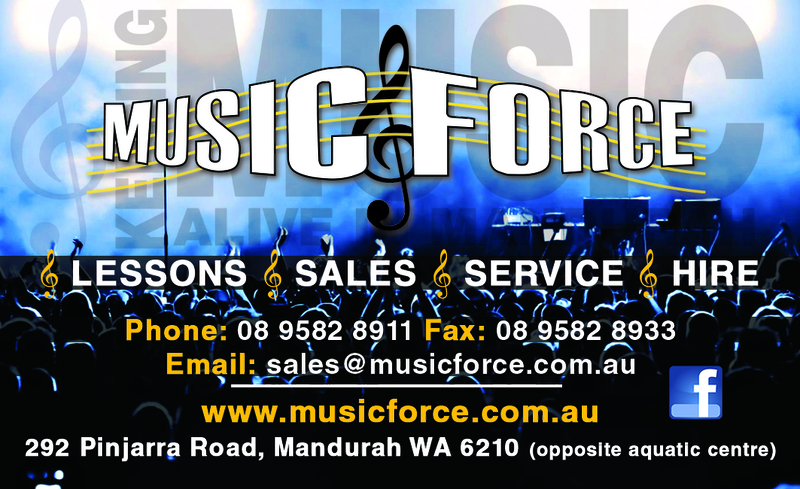 Music force is a well established local retail store in Mandurah, Western Australia. Owner Bob Appleyard has played professionally throughout Australia and Asia for over 40 years. 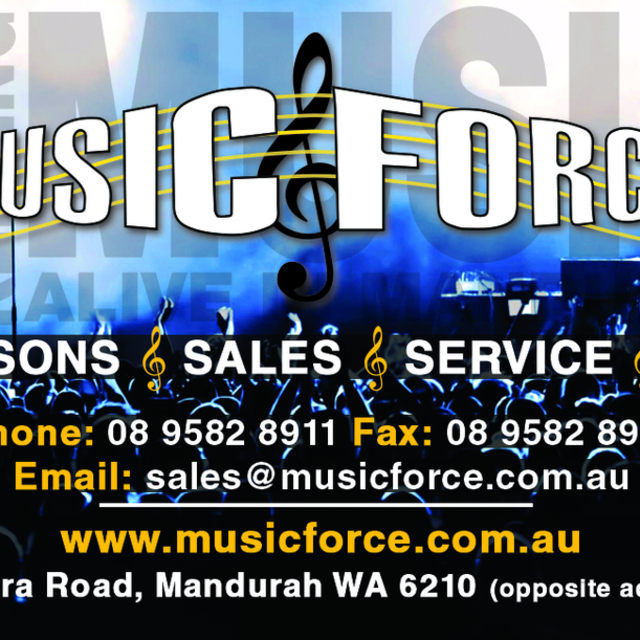 With a strong emphasis on community, Music Force has a long standing history supplying the majority of schools and clubs/orginisations in the Peel region. We carry an extensive range of products and services, with specialist staff guaranteed to fill your musical requirements. Our music school has become one of the largest components of our business with over 200 students coming weekly for music lessons.